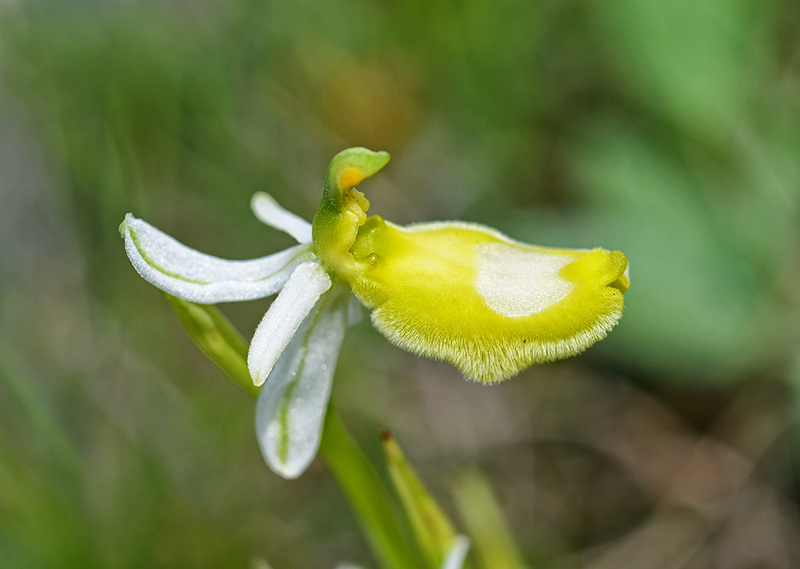 Ophrys flowers which lack Anthocyanin pigments often have a green labellum, with a white pattern. This is beautifully demonstrated by this Ophrys bertolonii in Southern Croatia. It is quite similar to the one which Pavel found in Northern Croatia.